Source: Received as budwood from Dr. Joe Furr, USDCS, Indio, CA, 1966. 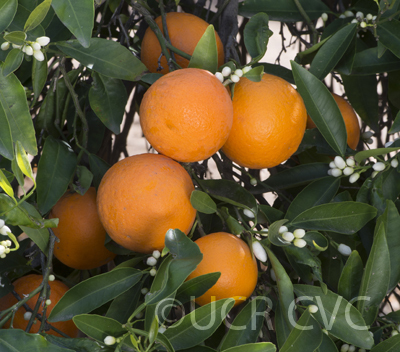 Parentage/origins: Fairchild mandarin is a hybrid of Clementine mandarin and Orlando tangelo. 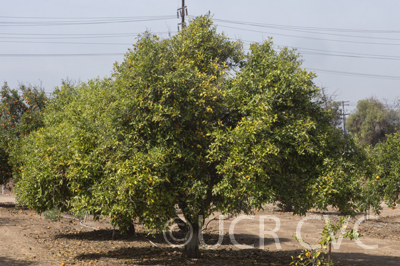 The cross was made by J. R. Furr at the U.S Date and Citrus Station at Indio, California, and the variety was released in 1964. It has proven to be particularly well-suited to the California and Arizona deserts where it provides an early season fruit for the market. Fairchild trees are vigorous with a wide-spreading habit. For best fruit production, a pollinator is necessary. 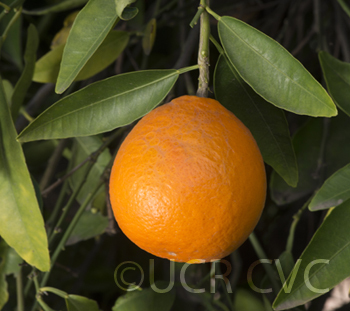 The fruit is medium-sized, oblate in shape, and has a thin, slightly pebbled, dark orange rind. Fairchild is not especially easy to peel and the fruits typically contain many seeds, but the flesh is quite juicy and the flavor is rich and sweet. 3/1987, EMN: Most of crop on ground this date. Polyembryonic. "Fruit medium in size and moderately blate in form; rind medium-thin, moderately adherent but easily peelable; surface texture smooth; color deep orange. 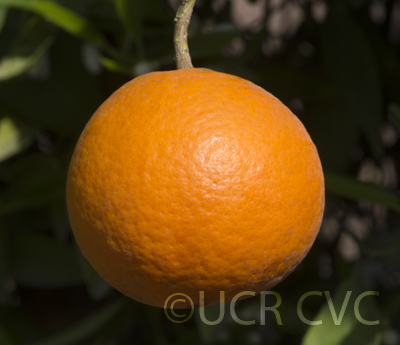 Flesh orange-colored; firm but tender and juicy; flavor rich and sweet. Seeds numerous, small, and polyembryonic. Early in maturity (about like Clementine but colors earlier). Tree vigorous, broad-spreading with dense foliage, nearly thornless, and productive. 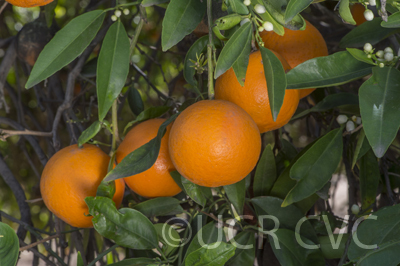 This exceptionally early, high quality, new variety, which was released in 1964, originated from a cross of Clementine mandarin X Orlando tangelo made by J. R. Furr of the U.S. Department of Agriculture at the U.S. Date and Citrus Station, Indio, California (Furr, 1964). 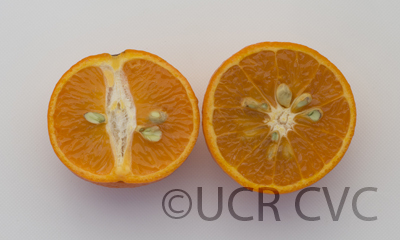 Fairchild is recommended for the desert areas of California and Arizona, where it is believed it may prove superior to Clementine. Provision for cross-pollination is suggested until the facts in that connection have been determined."